Submitted by Norm Roulet on Thu, 05/20/2010 - 02:45. 7. Each person can become an active voice in his or her community. To a greater extent than many realize, individuals have the power to affect public policy by letting policymakers know that they strongly support environmental cancer research and measures that will reduce or remove from the environment toxics that are known or suspected carcinogens or endocrine-disrupting chemicals. Individuals also can influence industry by selecting non-toxic products and, where these do not exist, communicating with manufacturers and trade organizations about their desire for safer products. I am publishing the entire 2008–2009 Annual Report of the President’s Cancer Panel - REDUCING ENVIRONMENTAL CANCER RISK... What We Can Do Now - April 2010 - as a book on realNEO, as this is so important for citizens to find and read it needs to be published everywhere possible and available in HTML, as well as PDF. I include a PDF of the report below. Read how the Cleveland Plain Dealer spins environmental and medical coverage in "Organic food benefits debated in wake of president's report on cancer, environment", introduced below, and then read REDUCING ENVIRONMENTAL CANCER RISK... What We Can Do Now - there are serious recommendations there for each and every government leader and citizen of the world to follow. "To put the role of environment in relation to cancer is a subtext in the story," said Dr. Mladen Golubic, associate staff at the Cleveland Clinic's Wellness Institute. "What really drives cancer rates is unhealthy eating habits, especially diets that are poor in plant foods, excessive amounts of animal [-derived] food and lack of exercise." Golubic said much remains unknown about the effects of environmental toxins on the body. "I think the science is quite soft," he said. "We do not know what these compounds are doing to us. It may be a long time before we know." 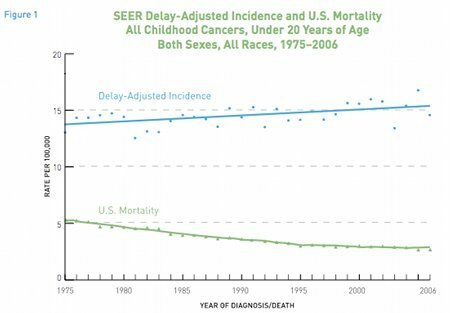 Though overall cancer incidence and mortality have continued to decline in recent years, the disease continues to devastate the lives of far too many Americans. In 2009 alone, approximately 1.5 million American men, women, and children were diagnosed with cancer, and 562,000 died from the disease. With the growing body of evidence linking environmental exposures to cancer, the public is becoming increasingly aware of the unacceptable burden of cancer resulting from environmental and occupational exposures that could have been prevented through appropriate national action. The Administration’s commitment to the cancer community and recent focus on critically needed reform of the Toxic Substances Control Act is praiseworthy. However, our Nation still has much work ahead to identify the many existing but unrecognized environmental carcinogens and eliminate those that are known from our workplaces, schools, and homes. Despite overall decreases in incidence and mortality, cancer continues to shatter and steal the lives of Americans. Approximately 41 percent of Americans will be diagnosed with cancer at some point in their lives, and about 21 percent will die from cancer. The incidence of some cancers, including some most common among children, is increasing for unexplained reasons. 1. A precautionary, prevention-oriented approach should replace current reactionary approaches to environmental contaminants in which human harm must be proven before action is taken to reduce or eliminate exposure. Much remains to be learned about the effects of environmental exposures on cancer risk. Based on what is known, however, there is much that government and industry can do now to address environmental cancer risk. The Panel’s recommendations in this regard are detailed above. At the same time, individuals can take important steps in their own lives to reduce their exposure to environmental elements that increase risk for cancer and other diseases. And collectively, individual small actions can drastically reduce the number and levels of environmental contaminants. Submitted by Evelyn Kiefer on Thu, 05/20/2010 - 04:35. In a world where being healthy sometimes seems hopeless it is important to remember that we are our government; being active in local, national and global politics and being a well informed consumer is literally a fight for your life.